Juventus’s hopes of playing Europa League football next season suffered a huge setback when they were held to a 2-2 at home with Chievo Verona. 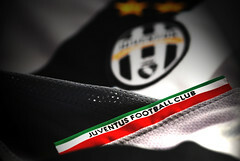 Everything seem to be going so well for Juve when Alessandro Del Piero opened the scoring with a 13th-minute penalty. Del Piero then turned provided for Alessandro Matri to to extend Juventus’s lead ten minutes after the break. Chievo, however, stunned their hosts with two goals in 60 seconds midway through the second half, Fernando Uribe and Gennaro Sardo both scoring with the aid of a rebound off the post. This was the second home game in a row that Juventus have squandered a two-goal lead. In their previous home game they let a two goal lead escape against Catania. Juventus are now three points behind sixth-placed Lazio for that final Europa League game, with two matches to go and five points behind Udinese for the final Champions League spot. Juve has been linked with a lot of big names for the upcoming transfer window, and not being able to offer European football (even Europa League) will make it that much tougher to entice stars to join the Bianconeri.